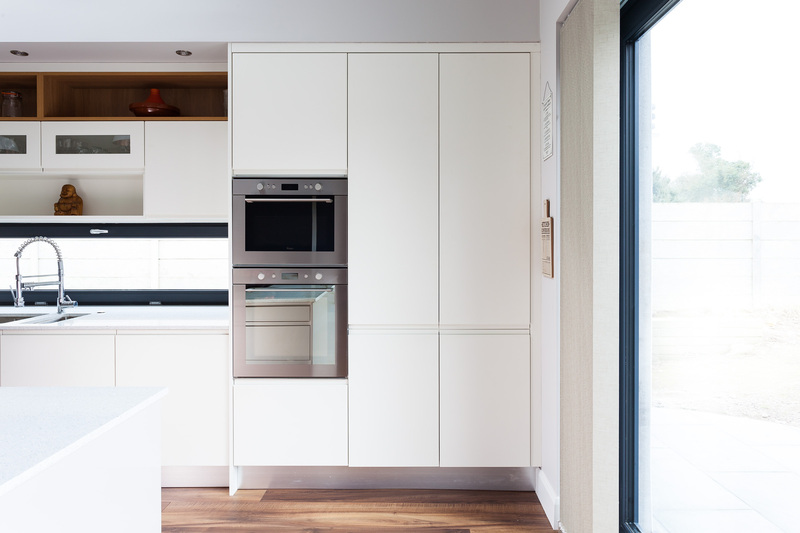 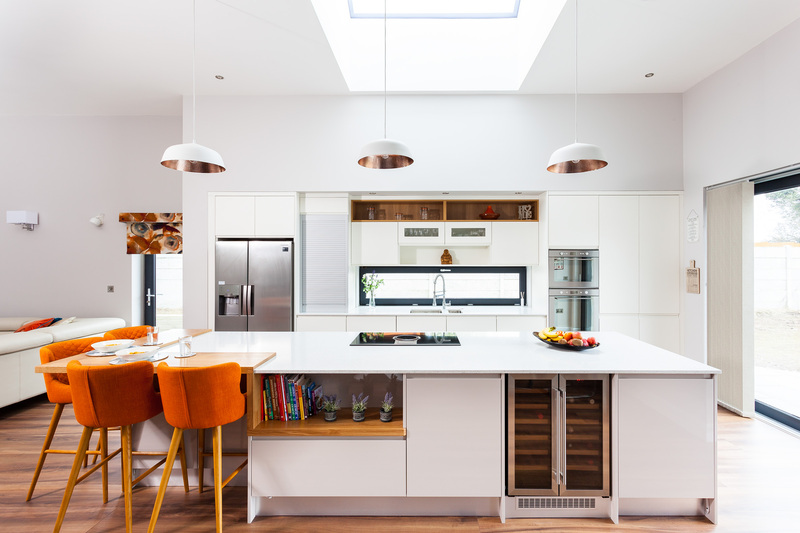 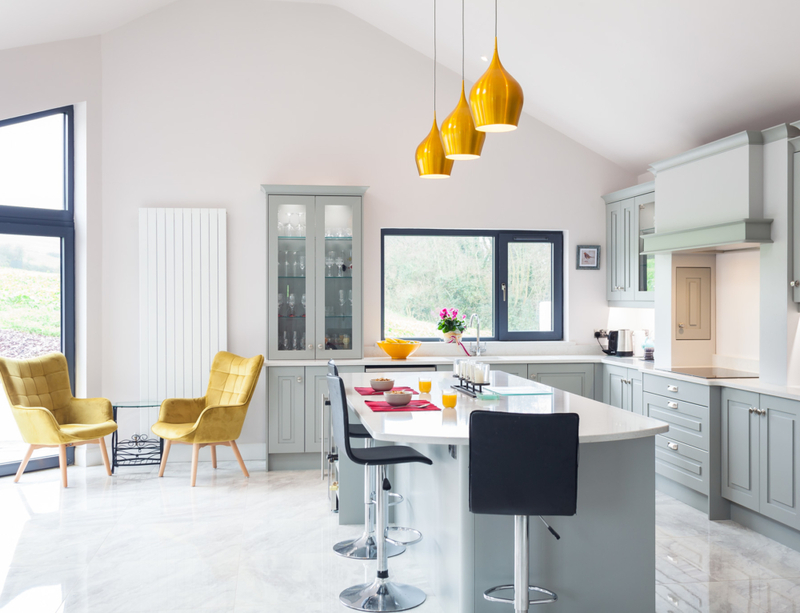 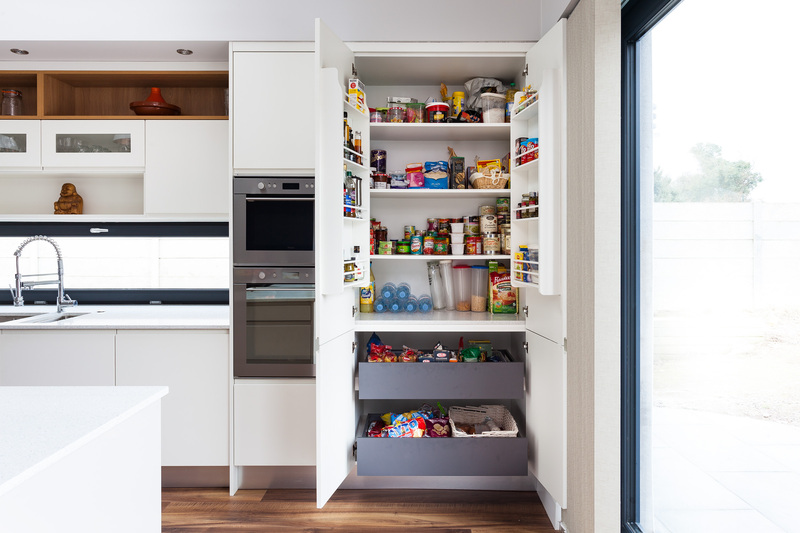 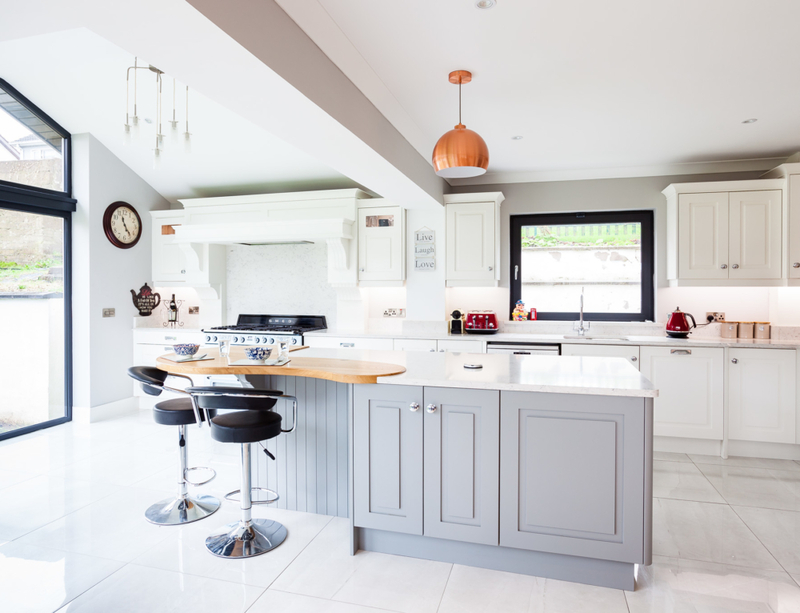 I’m sure you will all agree that our Kitchen of the Month for April is simply stunning! 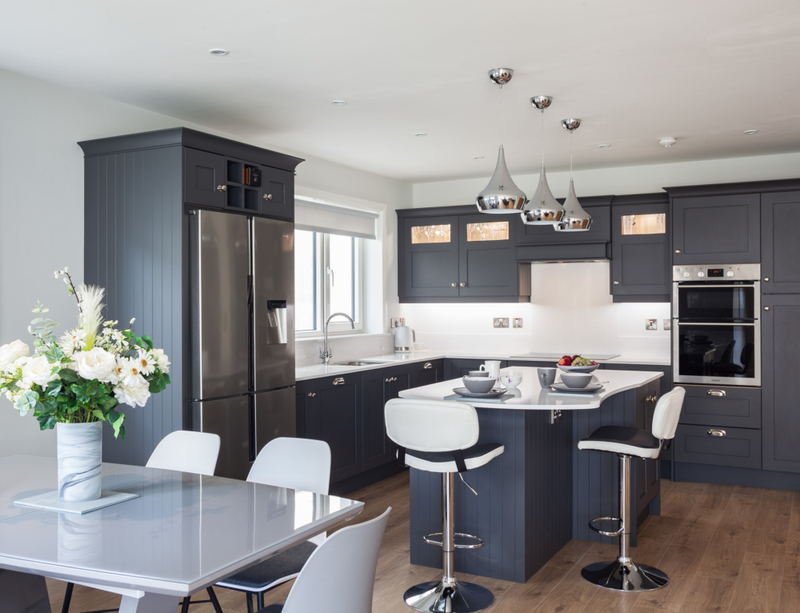 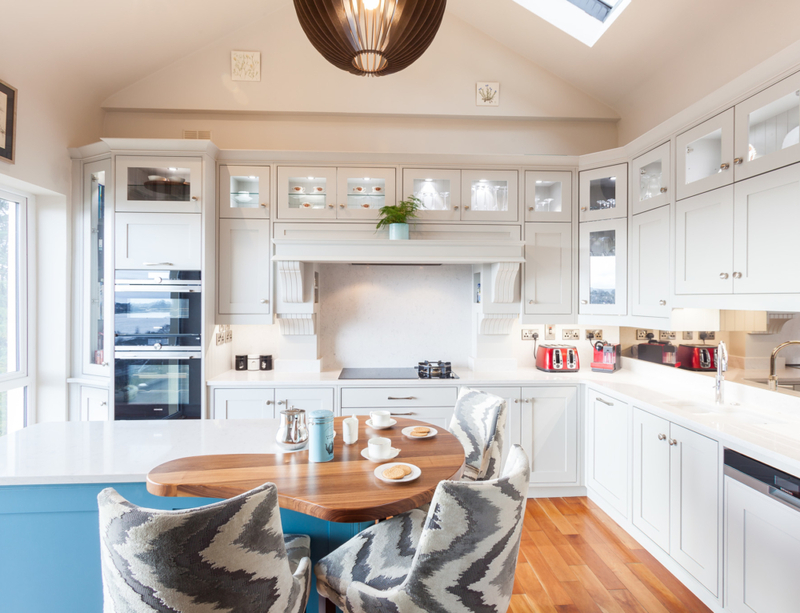 This Celtic Interiors kitchen is painted in Porcelain, while the island is a Gloss Cashmere. 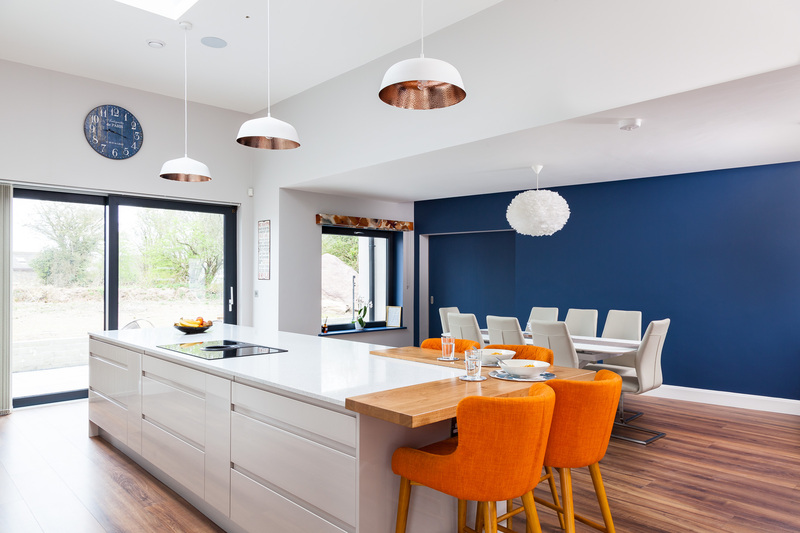 The J-Grip doors keep the room looking sleek and modern, with the client’s bold feature wall and colourful chairs adding both personality and style! 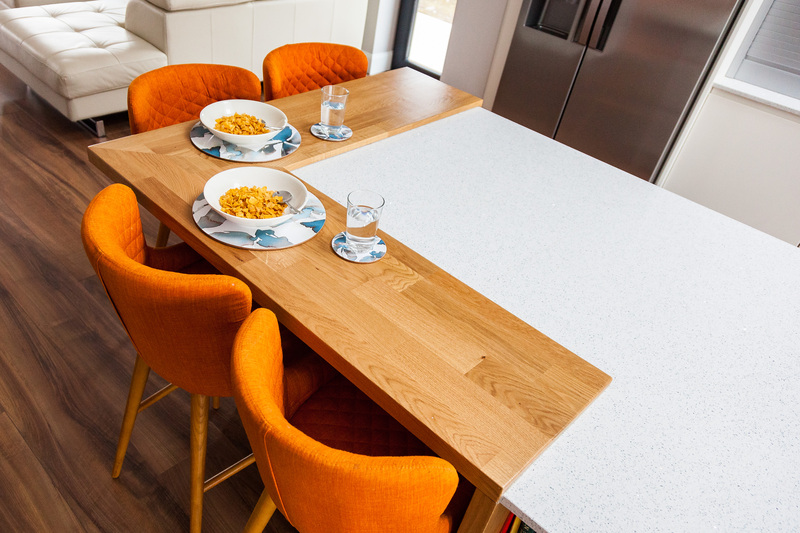 The worktops are done in Blanco Stellar quartz and a solid Oak breakfast bar. 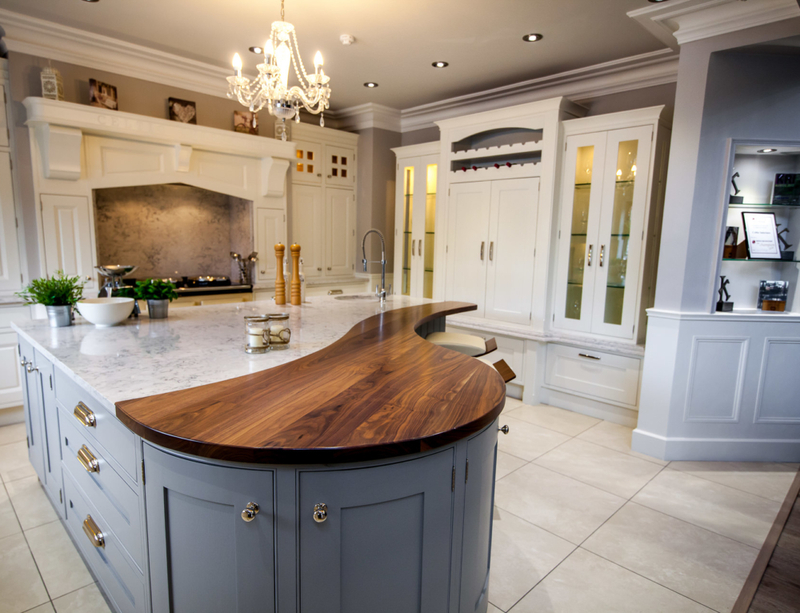 We just can’t stop admiring this one!